Forgestar 2-piece series M14. These high-quality deep-set rims feature superior and exquisite style accents with aggressive fitments and custom offset machining options.Multiple finish options are available to underline your individuality. 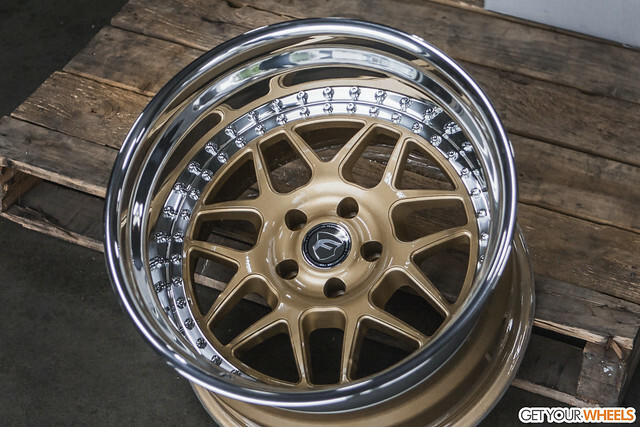 These Forgestar M14 wheels use a unique Rotary Forged Flow forming process that both lightens and strengthens the wheel. The process starts with a low pressure aluminum casting that is set in a special machine that spins and heats the outer barrel of the wheel. Then steel rollers press against the barrel to pull the wheel into its final width and shape. The combination of the heat, pressure and spinning creates a barrel with the strength similar to that of a forged wheel. 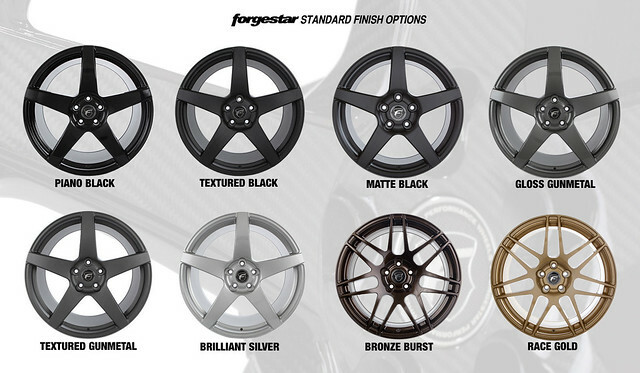 The Forgestar M14 wheels are custom made per order. Please allow 5-8 weeks for manufacturing. Pricing includes a standard finish with Polished Lip or Powdercoat Lip (Standard finish). Here is just a small sample of colors we can do. Please put which color you would like in the comments when you place your order. Optional finishes available at additional cost. Contact us with any questions you may have about these deep-set rims.